ClockClock 24 combines a unique concept, technical precision and expert craftsmanship, resulting in the highest quality form. 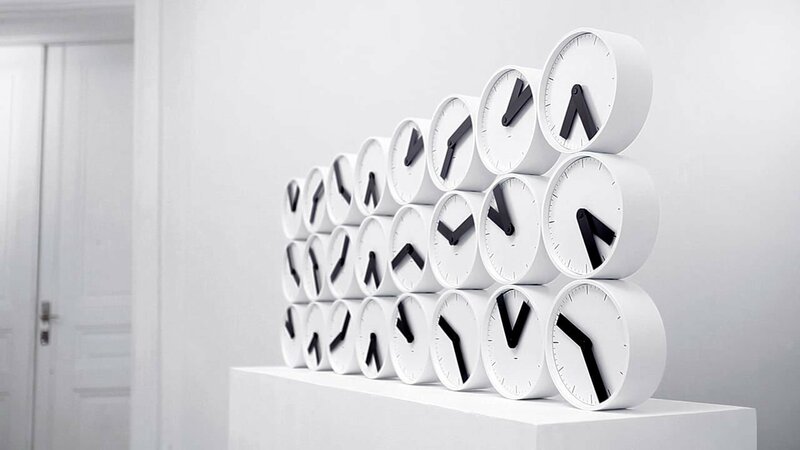 The idea for ClockClock 24 comes from the original project and brings the concept of kinetic time sculpture to a wider audience, in a more compact and affordable version and lends a joyful satisfaction to the passing of time, in its clever interplay between analogue and digital timekeeping. Originally commissioned by MoMA’s New York store, ClockClock 24 was developed in close cooperation with engineers and timepiece specialists. Part kinetic sculpture, part functional timepiece, ClockClock 24 is produced and carefully assembled with true dedication in Humans since 1982’s workshop in Sweden and is currently available on the ClockClock website and through carefully selected retail partners worldwide.